After a long dry spell, moisture has arrived from the tropics and the skies have been opening up. We got an inch Friday evening, an inch and a half Saturday evening, and an inch or so by 9:30 PM Sunday night with another 4 hours of light rain after that. 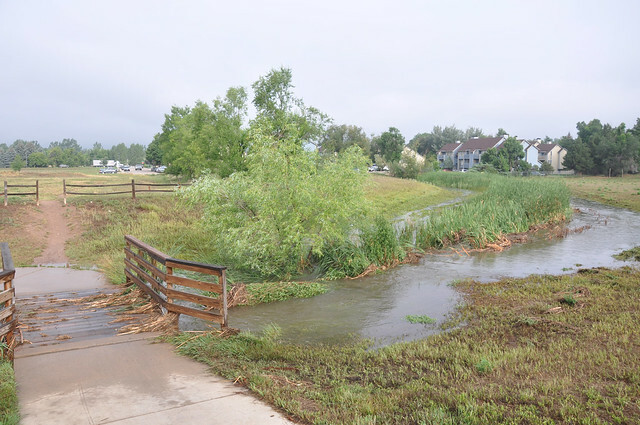 The ditch behind my house overflowed and so did its parent, Spring Creek. My bike's bottom bracket is due some work anyway, so early this morning I peddled down the flooded trail to see what there was to see. The cattails in the ditch add some greenery and structure to an otherwise ugly and weedy lot, and provide some nice habitat for red-winged blackbirds, but have mostly filled the channel and may have contributed a bit to the flooding here. 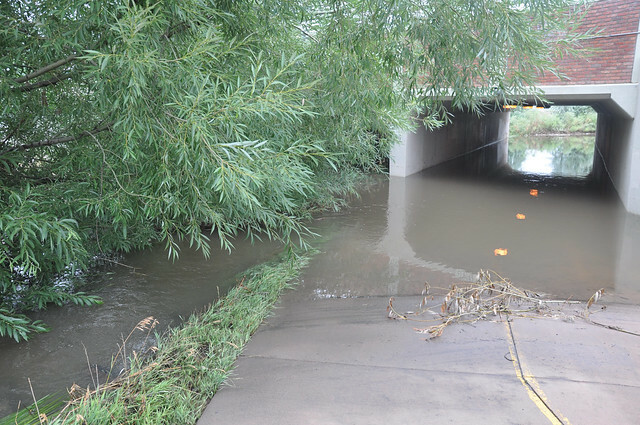 The pond on Spring Creek which had been disappearing was full again and the creek had flooded the bike path just west of the Centre Avenue underpass. 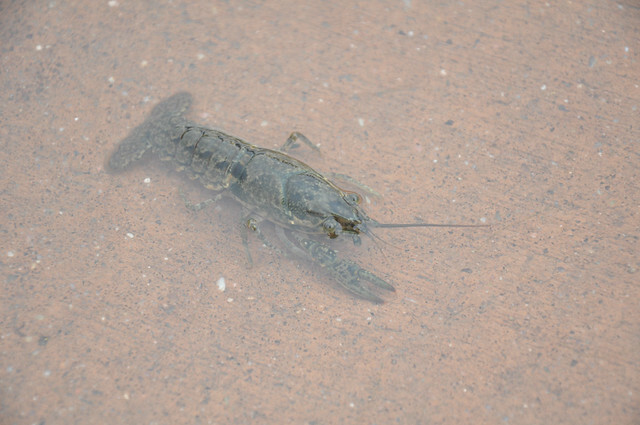 On the dotted yellow line of the bike path, I came across this crayfish. It looked a bit battered, missing one pincer and one antenna.